Nigeria’s Minister for Youths and Sports, Barrister Solomon Dalung has hailed the Musa Kida led Nigeria Basketball Federation for their achievements since coming into office at the NBBF Annual General Meeting held in Abuja on Saturday. The Kida led board took Nigeria’s male basketball senior team D’ Tigers to number one team in Africa and 32nd in the world, the Women’s team D- Tigress moved Number two in Africa and number 19 in the world rankings after their heroic display in Tenerife Spain last year. Dalung in his opening speech of the NBBF Annual General Meeting held in Abuja on Saturday stated that the Basketball Federation has done a lot for the development of the game in the country. “From 2017 till date Nigeria Basketball Federation has made Nigeria proud with great achievements in both National and International level. Apart from the upward movement in ranking of our national teams – the D’Tigers becoming No 1 in Africa and 32 in the World Ranking and the Women’s Team, D’Tigress being No 2 in Africa and 19 in the World Ranking – the overall success of both teams have improved Nigeria’s image in the world and earned us much respect within the global Basketball family. “Similarly, the Board has been able to stabilise affairs of the Federation, where rancor and mumblings have become a thing of the past. I must commend the Executive Board of Nigeria Basketball Federation, for this enormous work as well as putting Nigeria on the biggest stage of Basketball. I urge the Board of this Federation to continue in this direction in order to bring more laurels to Nigeria. “I must further commend the Board for the pace at which you responded to the Minister’s call for Federations to deposit a copy of their constitution with the Ministry. The democratisation process would not be complete without a governance instrument – the constitution. 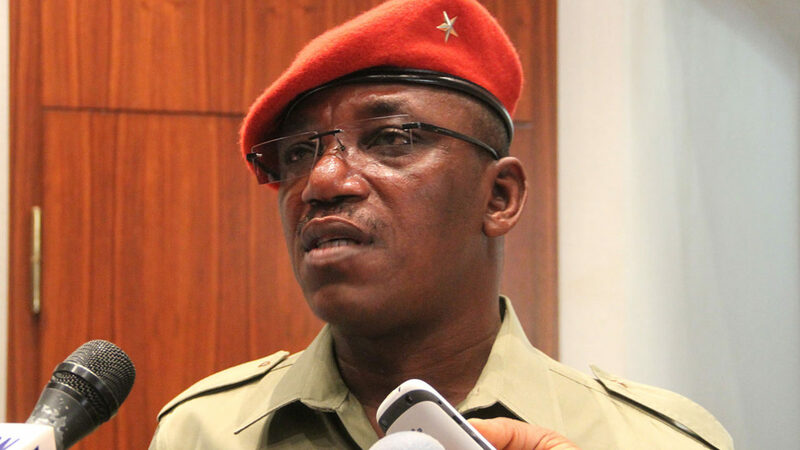 “The call for this Annual General Meeting is not only a pointer to the readiness of this Board and indeed all stakeholders to grow and develop the game of Basketball in Nigeria, but more importantly, to provide an instrument of authority upon which the governance of the Federation will rest,” Dalung stated. However, The Nigeria Basketball Federation (NBBF) President Engineer Ahmadu Musa Kida on his said he’s willing to work with all stakeholders of the game in other to take it to the next level.